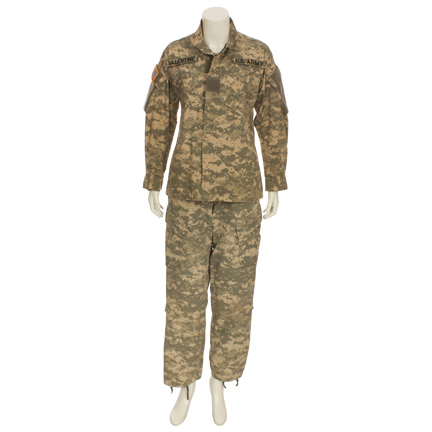 This desert camouflage military uniform by Propper was worn by the character “Megan Valentine” portrayed by actress/singer Jessica Simpson in the 2008 motion picture “Major Movie Star” also starring Vivica Fox and Steve Guttenberg. 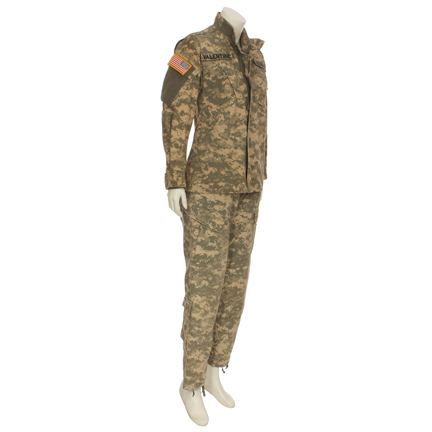 The outfit consists of a Size XS/Regular Army jacket with American Flag shoulder patch and “U.S. 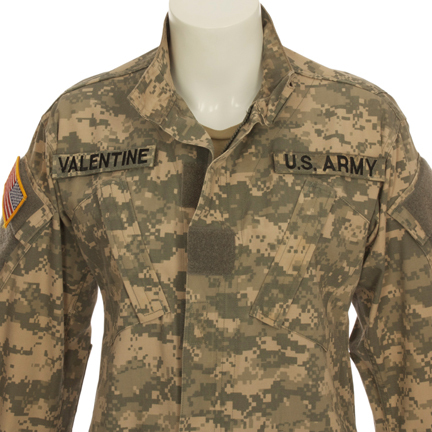 Army” and “Valentine” patches on the chest, matching Size XS/Regular pair of pants, and tan t-shirt. 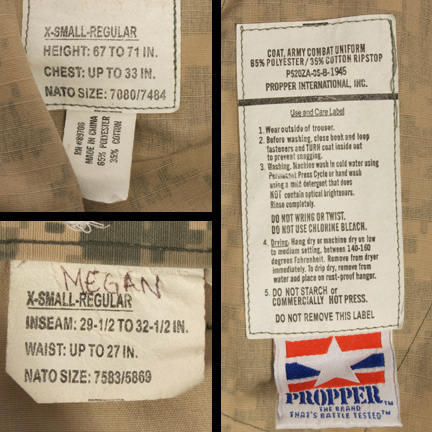 The pants have the character name “Megan” handwritten in the interior label. 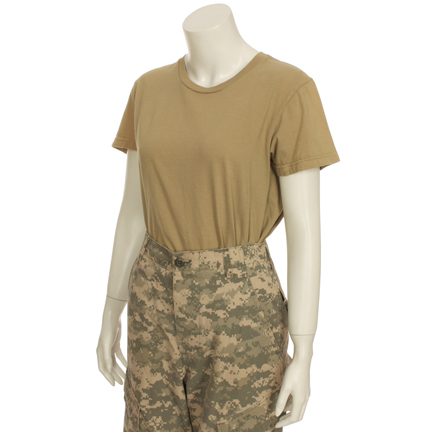 Ms. Simpson wore the uniform in numerous scenes throughout the film. 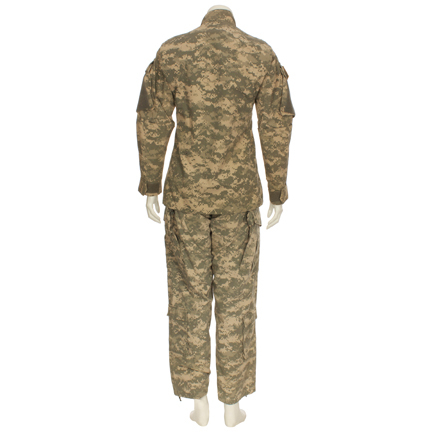 The garments are in very good screen used condition with minor evidence of wear from their use on the production. Accompanied by a letter of authenticity. Presented by The Golden Closet, your premier source for screen used wardrobe, props, and entertainment memorabilia.